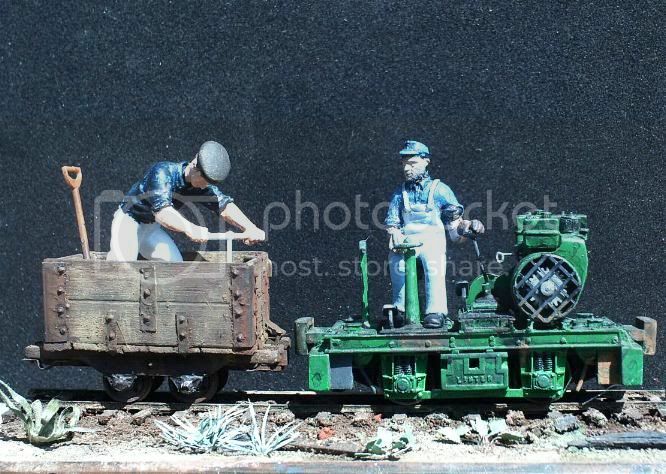 I've modeled Colorado narrow gauge for more than 30 years. 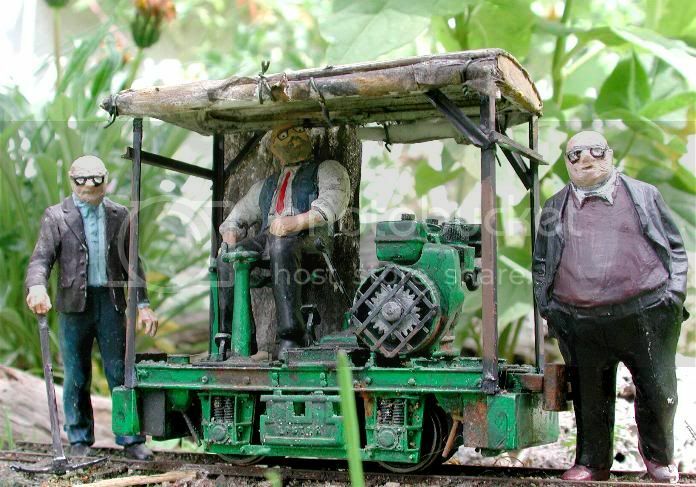 About three years ago I built a Gn15 loco from a Bachmann Percy and had a great time. I even made it's driver from Sculpey. Then started an HOn3 layout; Colorado again. About two weeks ago I couldn't stand worrying about getting everything just right any more; as though it matters if my Ophir store has the correct foundation. Anyway, I'm back to Gn15. The people on the Gnatterbox seem rather nicer than on some other trainforums I read. I need to build some tippers and maybe a Lister. Like someone before me said "I blame Carl". Welcome to this group. I can barely see rivets, so I don't count them much, except the big ones. This is creative stuff with enough kits from Steve and Tom Yorke and others to make not every build a scratch build. Sinple HO mechanisms work fine for power, and some of us real Gnuts do G9, with 9mm track in G scale. As Jeurgen says "Have fun"
We love rivets here. We are happy for you to add as many or as few as you like in any place you wish. In other words, we're pretty chilled about detail, methods of build, general look, etc. etc. Thanks for the welcome. Do the links on the "loco shed" and "virtual exhibition" work for anyone else? I just get "this page can't be displayed'. I've just tried a couple of new and a couple of old links in the Loco Shed and they worked fine for me. Do you have some specific examples that don't work for you or is it all of them please? Welcome at this place. We urgently need some fresh blood to show thir modelling skills. Details in Gn15 Scale (1 : 24) are huge, compared to HO (1 : 87). So be prepared to count rivets and some nuts & bolts. This Lister, built by Carlo from a Scotty kit has quite a few. Chris, I just tried the first link in the loco shed, Trevor's Lobster Bay.... No joy None of the links I've tried work. It must be a problem on my end if they work for others. I just tried it and it seems to work for me. Took a bit of time to come up. I just tried it from my iPad and zap, the link worked very snappily (I was on my my computer, a Mac, when I tried previously). Here's a link I've just grabbed for the same thread to see if it makes any difference providing it outside the Loco Shed. Chris, the link you provided still came back "can not display page". Now for the strange part: When I compared the links I found that the ones that work for me have 'forum' before 'gn15' rather than the other way round. So I changed the Trevor's Lobster... link that way and it worked!!! Curiouser and curiouser Now I just have to think how I can avoid typing the whole thing in. About a year ago the Gnatterbox transferred ownership/control and that brought some issues for some people as (I think) the underlying software wasn't exactly the same. At least it looks like you have found a way to get to see the goodies that have been bubbling happily along since 2003. It's been an interesting journey with great people and marvellous modelling. Enjoy!
" I was born with nothing and I still have some of it left "
I still haven't found an address that works for the Tome but other than that the site is working for me. For my next adventure I'm going to try to post photos of the Gn15 Quarry Hunselet I built several years ago ( when I was a lurker here) and the gondola I just finished. I'm short of time for the next week or so but right after that.